Cashback bonuses are bonus funds that you receive in your casino account as a refund if you’ve lost money during play. 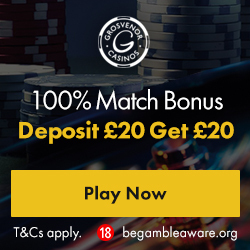 You can sometimes receive these as real cash instead of bonus money, but either way it’s usually based on a percentage of your losses at the online casino. This percentage is generally between 5% and 25% of the amount that you lose over a set period of time, or on a set game. These are a great way to get a little bit back from your online casino. How do you get cashback? Occasionally an online casino will offer cashback bonuses on specific games on their sites, allowing players to play the game with less risk than normal. The bonus tends to be calculated on your net losses over a certain period of time. There’s also usually a limit on the amount of bonuses that are given to each player. The majority of ‘real money’ bonuses are only offered to players that are part of an online casino’s loyalty or VIP programme. But bonus money cashback can usually be claimed by every player or every player who opts-in. Generally there are wagering requirements for this type of online casino bonus and these can vary between casinos- with some casinos you’ll need to wager the required amount just once, while others will expect you to wager it ten times. However the requirements are usually lower than for bonuses such as deposit or reload bonuses. Sometimes there can be confusion between top up bonuses and cashback bonuses, but a top up bonus is the opposite of a cashback bonus. With a top up bonus, you’ll receive extra bonus money on your winnings instead of your losses. This bonuses type is often calculated on your winnings during a certain timeframe or on a certain game, and is paid as a percentage that can range from 5% to 10%. Quite often the two types of bonus are offered alongside each other so you can take advantage of one of them depending on whether you win or lose.